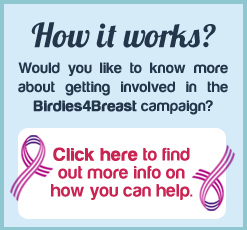 We are actively looking for local and national sponsors to support Birdies4Breast Cancer Appeal and have created a variety of sponsorship packages which will suit a variety of business budgets. Any amount of money is greatly appreciated , so from £50 upwards the money make a considerable difference in helping us turn our wish list of projects in to a reality. Your business taking a small advertising position on the home page of the Birdies4Breast Cancer Appeal web site. Your business featured as a sponsor on the dedicated sponsor page on web site. Your business taking a medium advertising position on the home page of the Birdies4Breast Cancer Appeal web site. 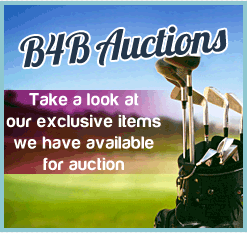 Your business taking the prime advertising position on the home page of the Birdies4Breast Cancer Appeal web site. Your business featured as main sponsor on the dedicated sponsor page of the Birdies4Breast Cancer Appeal web site. Your business featured on all supporting PR for the charity. 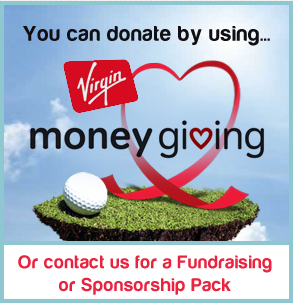 Your business featured as main sponsor on dedicated sponsor page on the Birdies4Breast Cancer Appeal web site.